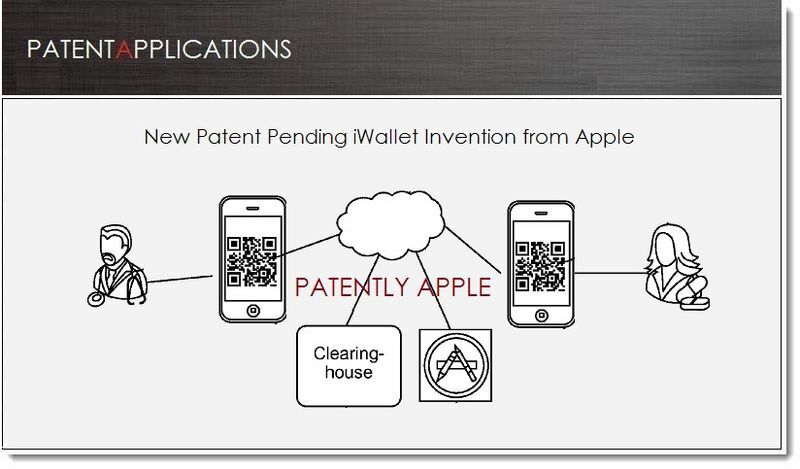 A new in-depth ‘iWallet’ patent published by the US Patent & Trademark Office today, reveals Apple’s latest invention related to systems and methods for carrying out secure transactions. According to PatentlyApple, Apple’s technology relates to systems and methods for performing secure transactions using optical codes and optical code readers. Apple details how its patent-pending technology can allow secure electronic transactions by utilizing optical codes that “link a client device with a clearinghouse that anonymizes the transaction”. When the optical code is presented to a customer, the customer’s device decodes the optical code, retrieves the invoice from the server using the claim number as a reference, and is presented with an interface for authorizing payment for the invoice in the clearinghouse. One embodiment of the technology involves generating invoices containing Quick Response codes (“QR codes”) and decoding the QR codes using a camera and QR recognition software. The filing also highlights iWallet’s security features, that may include a secure access-restricted storage area to limit access to the sensitive data, such as encryption keys, passcodes and passwords, or digital certificates.